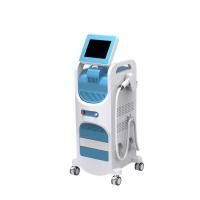 How to work of the best hair removal laser machine? 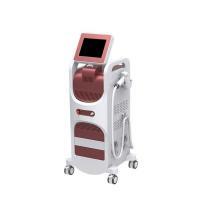 The Diode laser is operating at a wavelength of Alex755nm, 810nm and 1064nm, 3 different wavelengths come out at the same time to work in the different depth of hair to work full range permanent hair removal result. 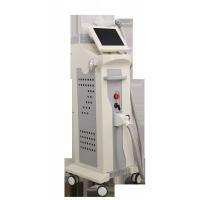 Alex755nm is deliver powerful energy was absorpted by melanin chromophore, making it ideal for skin type 1, 2 and fine, thin hair. 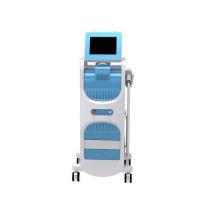 The longer wavelength 810nm works deeper hair follicle, with less absorption of melanin, which is more safety for dark skin hair removal. 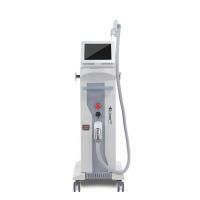 1064nm works as infared red with high water absorption, it is specialized for dark skin hair removal including tanned skin. What can do the best hair removal laser machine? 2. 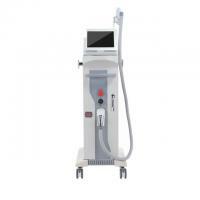 Long laser pulse width The laser pulse duration of Terminator Hair Removal System is 10ms to 1400ms adjustable, which can impose effective treatments according to different hair to realize permanent hair removal. 3. No pigmentation. Suitable for any kind of skin. 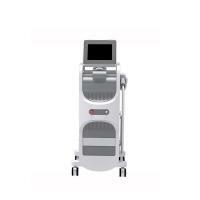 MB810 hair removal system uses the most advanced technology that penetrates deeper than before so that the skin could absorb less laser and there is no pigmentation. 4. 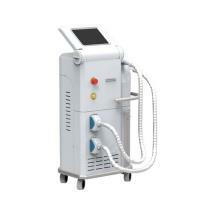 Sapphire contact cooling system can make the treatment safer and no harm to the skin. 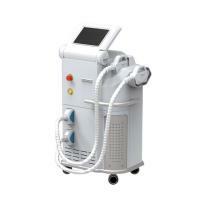 The temperature of skin can be arrive at 0~5°C Sapphire contat cooling system of Terminator hair removal equipment can ensure the doctor could use the maximum energy but not to hurt normal skin. 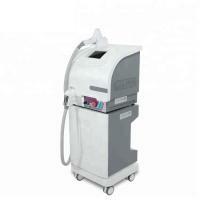 This cooling system can make sure no hurt to the skin when patients are given more pressure. It is reported that the pressure can increase 30%-40% of the luminous energy. MB810 uses big squared spot size of 20mm which could ensure high effeciency and fast speed when excuting the treatment of large area hair removal. Because the spot size is big, it could avoid repeated treatment.